COSEWIC. 2003m. COSEWIC assessment and update status report on the Steller sea lion Eumetopias jubatus in Canada. Committee on the Status of Endangered Wildlife in Canada. Ottawa. vii + 47 pp. COSEWIC. 2013d. COSEWIC assessment and status report on the Steller Sea Lion Eumetopias jubatus in Canada. Committee on the Status of Endangered Wildlife in Canada. Ottawa. xi + 54 pp. Canada, Ottawa. vi + 69 pp. Fisheries and Oceans Canada. 2018q. Report on the Progress of Management Plan Implementation for the Steller Sea Lion (Eumetopias jubatus) in Canada for the Period 2011 to 2015. Species at Risk Act Management Plan Report Series. Fisheries and Oceans Canada, Ottawa. iv + 37 pp. Fisheries and Oceans Canada. 2010. 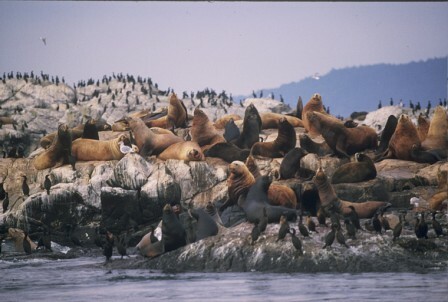 Management Plan for the Steller Sea Lion (Eumetopias jubatus) in Canada [Proposed]. Species at Risk Act Management Plan Series. Fisheries and Oceans Canada, Ottawa. vi + 69 pp.